Ethernet. Don’t be embarrassed if you have no idea what it is; after all, Apple doesn’t even include an ethernet port on its laptops anymore. For the uninitiated, it’s a network connection type that involves using an actual cable. 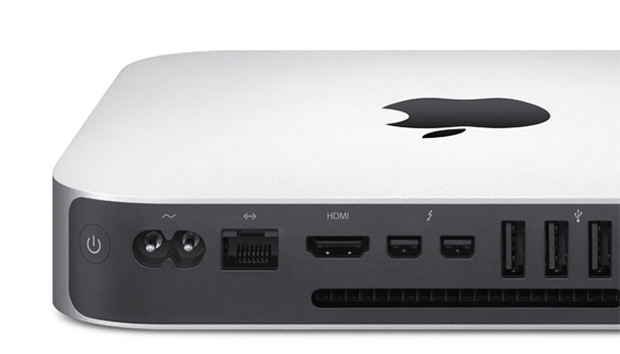 On the desktop, though, Apple still includes an ethernet port. Recently, Apple issued a minor kernel extension update for OS X, but the update had a bug that disabled ethernet. Apple fixed the offending update, but if you installed the update and still see problems, Apple has a support article for troubleshooting and fixing your disabled ethernet. If you have an ethernet and Wi-Fi working at the same time, you may not have noticed your ethernet connection not working. So it’s worth a few minutes of your time to check your connection. Follow these steps to see if the update was installed on your Mac. Launch the System Information app (Applications > Utilities or hold down the Option key and select Apple menu > System Information. In the left column, look for the Software header and expand it if needed. Select Installations. In the list in the top section of the main window, click the Software Name header to alphabetize the list. Scroll though the list and look for “Incompatible Kernel Extension Configuration Data” in the Software Name column. Then look at the version number. If the version is 3.28.1, you have the bad update and will need to get the latest version. Wi-Fi still works, and you’ll use it to get the update. Get connected over Wi-Fi and follow these steps. Launch Terminal (Applications > Utilities). This will update Incompatible Kernel Extension Configuration Data to version 3.28.2, which will correct the problem. If you can’t use Wi-Fi, the fix is more complicated. It involves booting into Recovery Mode, using Disk Utility to mount your Mac’s internal drive, running Terminal, entering a command to fix ethernet, restarting, and then using an ethernet connection to get the fixed update. Apple has the complete instructions.